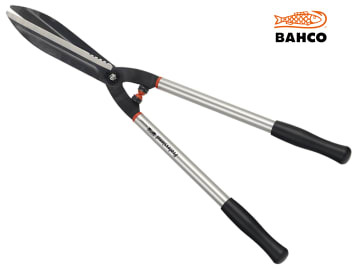 The Bahco P51H-SL Professional Hedge Shears are for professional use in parks, topiary gardens and nurseries. They have fully hardened blades with a partly serrated edge. The extra long, lightweight aluminium handles offer a good reach and reduced fatigue is provided through superior cutting performance and very comfortable handling.